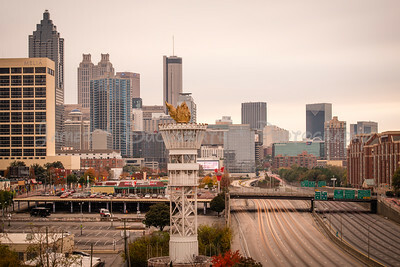 Unique images of the Atlanta skyline taken from various locations around the City. 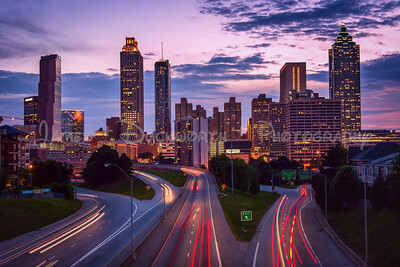 View of Atlanta's Skyline at dusk from the Southside of the City. 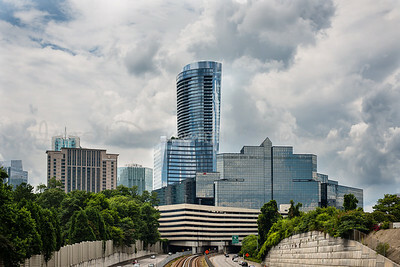 The "King" and "Queen" buildings at the Concourse office park on the north end of the Atlanta Perimeter looking north over GA 400. 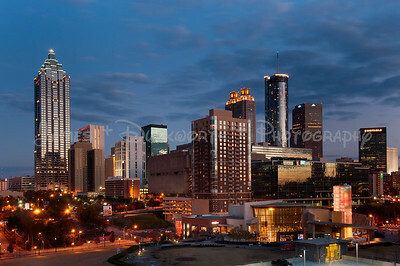 Skylne at the Blue Hour from 5th Street. 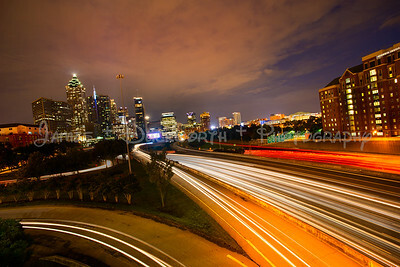 Beautiful Atlanta skyline from the Jackson Street Bridge. 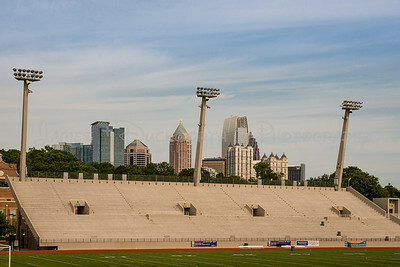 Grady High School Football Stadium with Midtown Skyline in background. 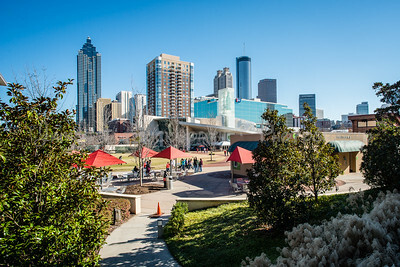 Grady High School is located in Midtown adjacent to Piedmont Park. 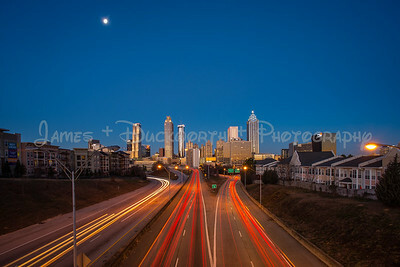 A wide view at twilight of Atlanta's skyline from the Jackson Street Bridge. 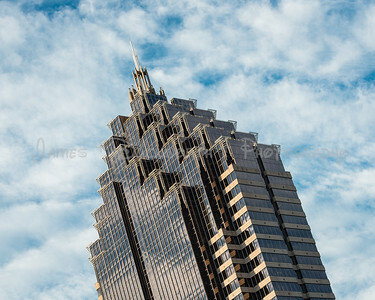 Close View of Atlanta's Promenade Office Building in Midtown. 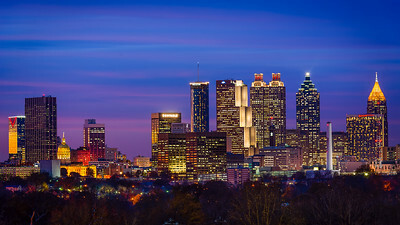 The Promenade Office Tower, located in Midtown is almost 700 feet tall. 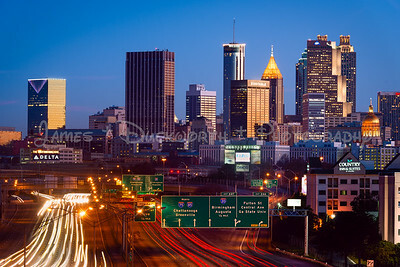 It was completed in 1990 and is one of the tallest buildings in Atlanta. 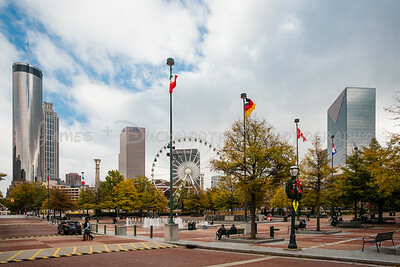 Atlanta Skylne Closeup from South of downtown. 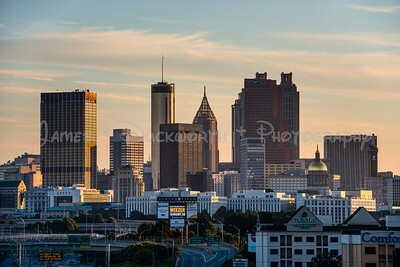 Closeup of Atlanta's skyline seen at sunrise from Mechanicsville just south of downtown. 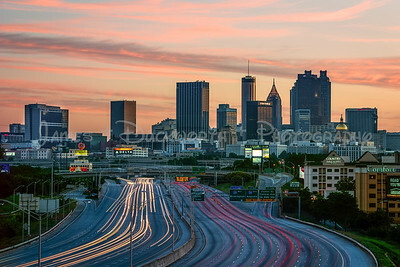 Atlanta's skyline seen at sunrise from Mechanicsville just south of downtown. 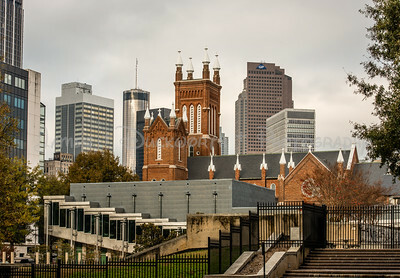 A partial view of Atlanta skyline from Oakland Cemetery. 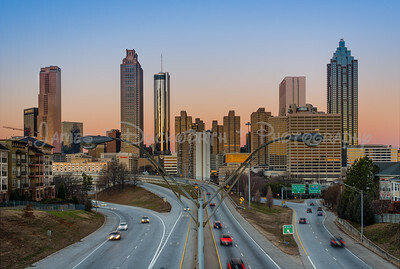 Atlanta's skyline from the Jackson Street Bridge as the day begins. 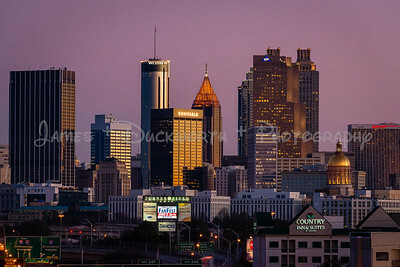 Atlanta Skyline from Midtown near Fifth Street. 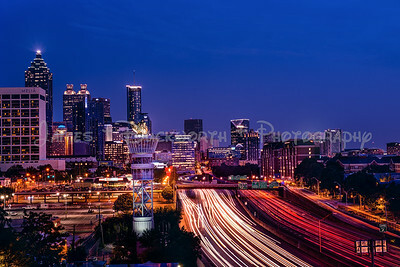 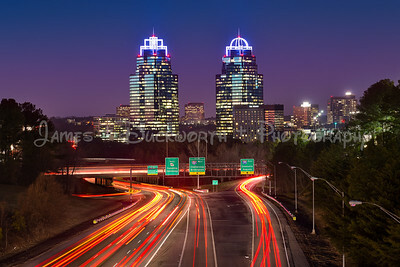 Atlanta skyline with Interstate 75 and 85 in the foreground from a parking deck in Technology Square. 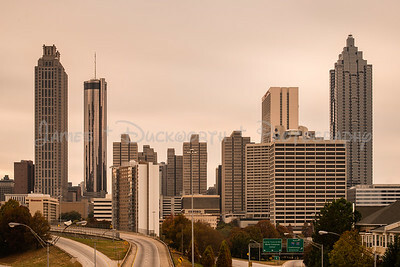 Close view of Atlanta's skyline from Jackson Street Bridge. 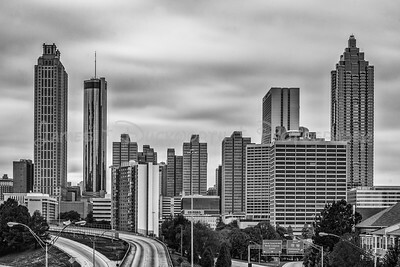 Close view of Atlanta's skyline from Jackson Street Bridge in black and white. 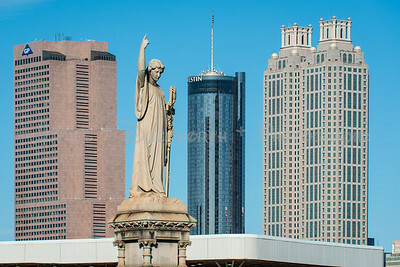 Close view of Atlanta's skyline from Atlanta City Hall. 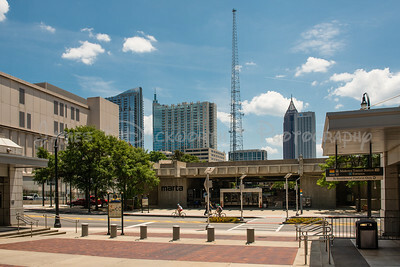 Marta's Midtown Station provides riders with access to many points of interest in Midtown including the Atlanta Botanical Gardens, Piedmont Park, the Federal Reserve, and the Margaret Mitchell House. 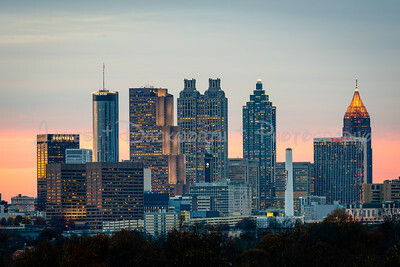 Atlanta skyline from Centennial Park and Andrew Young Blvd.